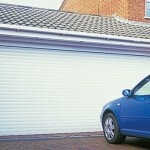 Seceuroglide Double skinned insulated roller garage doors are a firm favourite with past and present customers. 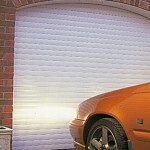 Seceuroglide use double skinned foam filled slats to produce and insulated and virtually draught proof garage door. All standard doors come complete with the Seceuroglide patented locking system, the excel has even achieved the “Secured by design” status the slats come powder coated in eleven standard colours with three woodgrain colours. 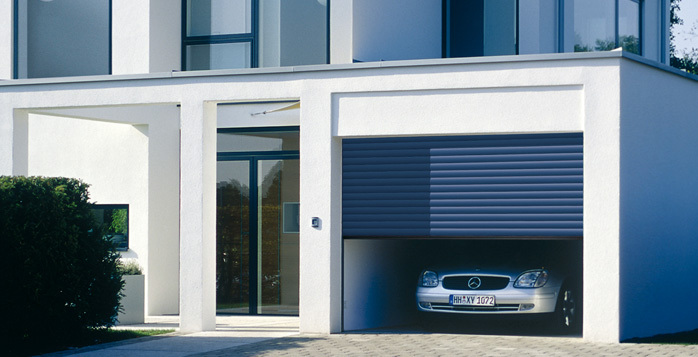 A typical U value for and insulated roller garage door is 5.2W/m2 K. The Seceuroglide door is available with many different options, to allow you to customize the door to suit your budget. For example for example the roll can be boxed in to aid appearance from the inside. 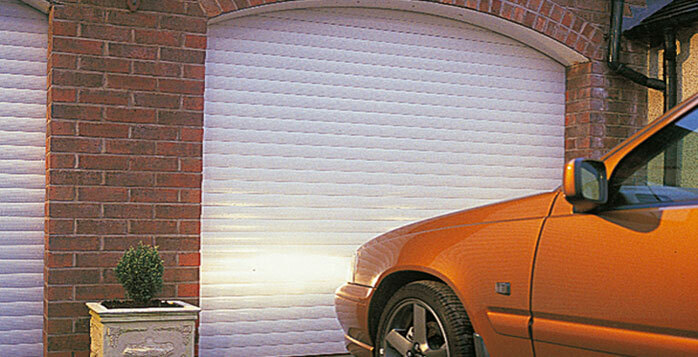 Seceuroglide can also be mounted externally to increase length in the garage. There is also a compact version that coils into 205mm headroom! 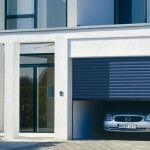 Hormann Insulated roller Garage Doors in our opinion are the best roller doors on the market today. Hormann are a relative new comer to the domestic roller door market but they have taken a different approach other manufacturers. Instead of using a torsion spring inside the barrel they have opted to use an extension spring inside the right hand guide. 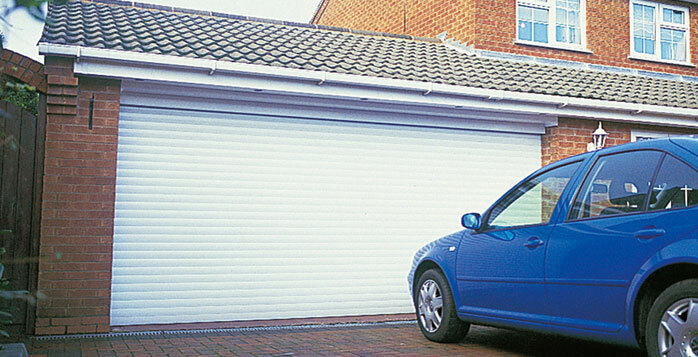 Using extension springs give much smoother spring tension for the door resulting in perfect balance and operation. Low voltage electric operation is ideally suited to this door, obstacle detection is taken care of within the motor system eliminating the need for safety edges in the bottom slat. It also enables a soft start and stop operation, ensuring the smoothest possible action. Hormann have also opted to use a smooth double skinned slat, this is sleeker and modern compared to other slat designs. Available up to 5 metres wide and up to 3 metres high.